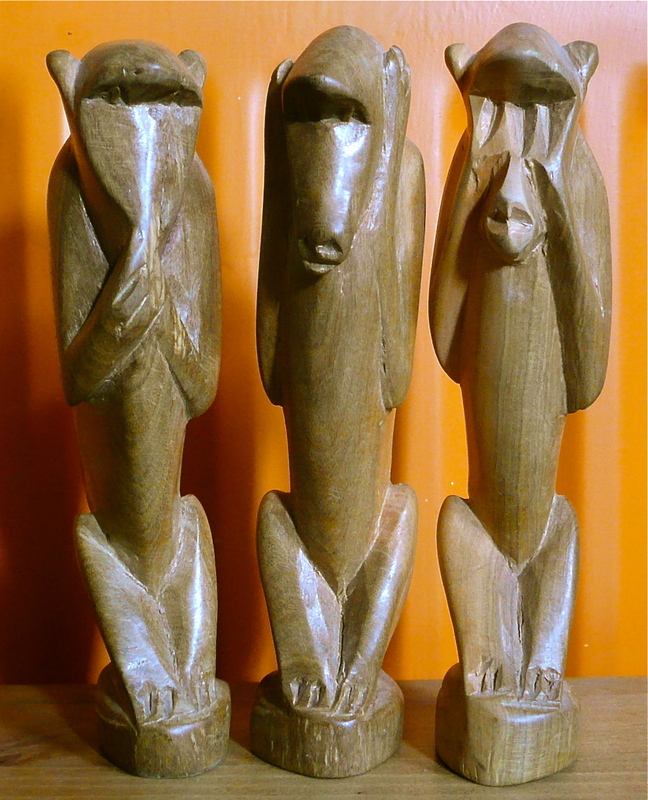 I am quoting from Wiki here..
One Birthday Mr. P bought me these three wise monkeys – much to my dismay, as I am not one for holding back, or looking the other way. I do try hard everyday to be of good mind, speech and action. Don’t always succeed. Just grew up with this song-always there, rocking!